Bundle includes Native Instruments Traktor Kontrol S4 MK3 with Official Flightcase. The 3rd Generation of the Native Instruments Traktor Kon.. Bundle includes Native Instruments Traktor Kontrol S4 MK3 with Official Flightcase. 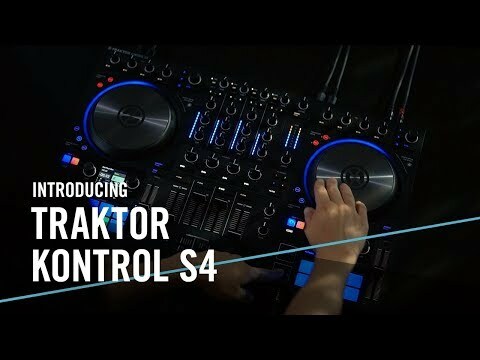 The 3rd Generation of the Native Instruments Traktor Kontrol S4 is a fully-featured USB DJ Controller with upgraded motorized Jog Wheels, 3 Jog Wheel Performance Modes, new Mixer FX and optimised workflow. The industry standard USB DJ Controller for Traktor just got a whole lot better! The included Traktor Pro 3 DJ Software is the most comprehensive and feature-packed Traktor ever released. Existing users will enjoy a brand new, streamlined user interface, new FX interface and enhanced, stable audio quality. Start mixing straight away with handy tutorials and the most seamless browsing and menu systems to date.